This is one of my favorite sessions to capture and here's why. Birth sessions are for the open hearted souls who wish to capture their most vulnerable life experiences. 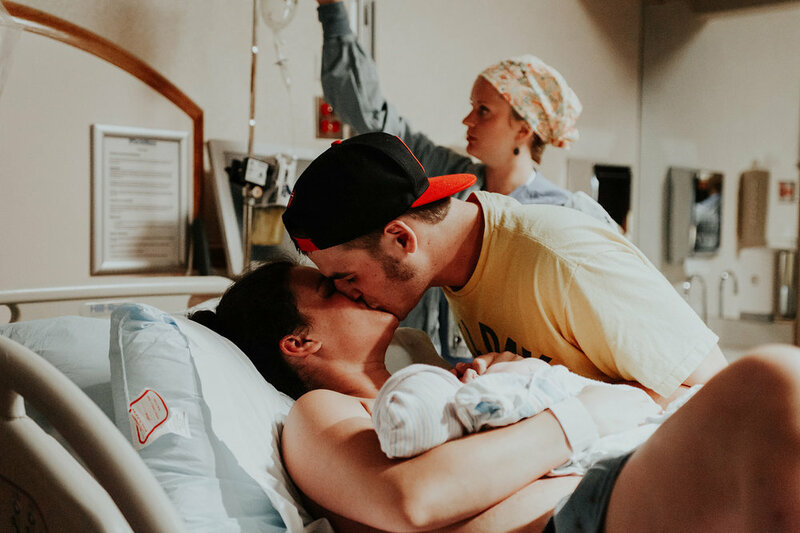 Birth photography is not for everyone, and that’s okay! If you are free spirited and yearning to capture the raw emotion, strength, and unique moments of child birth, this session was made for you. Let your significant other focus on you instead of feeling the burden of being your emotional and physical support, as well as taking photos and videos to try to capture the moment. This is often a shared experience, that is best done when both participants are able to focus their attention on the task at hand! I will be a fly on the wall and will capture your birth story as is. I am an open book and always do my best to make you feel at complete ease and comfort. This documentary style session is for the truly sentimental soul. This is perfect for those of you who want to capture your baby within their first 48 hours of life, at the hospital with you and your immediate family. It’s also a perfect opportunity to capture the meeting of your other children with their new sibling. This is a moment that happens once, and what a gift it is to have it captured by someone other than your spouse, so that they can be in the shot as well. I love the newness and euphoric adrenaline that comes with these sessions. Receive $100 off when booked with a birth or newborn session!